I had planned the morning to visit Hoquiam’s Castle and Grays Harbor National Wildlife Refuge before heading to Portland to visit some friends from my horseback riding days. Both attempts turned out to be a bust. 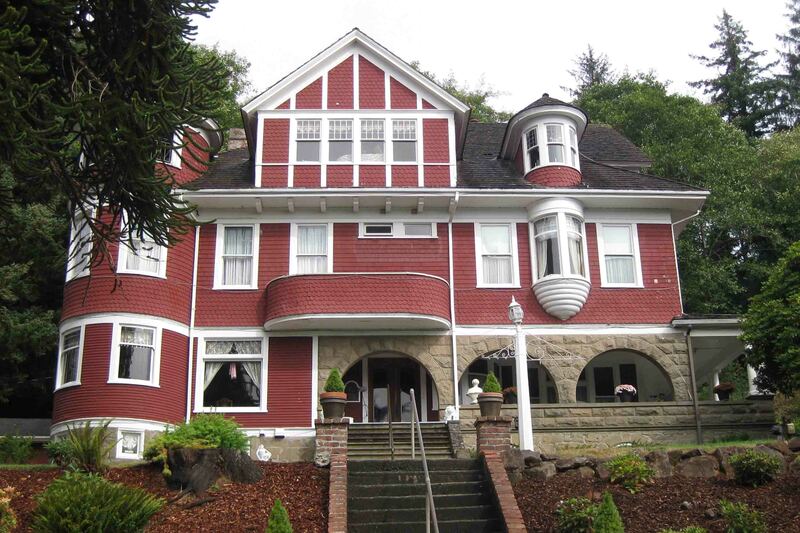 Hoquiam’s Castle was built in 1897 by a timber tycoon named Robert Lytle. It is a twenty room mansion, turned Bed & Breakfast. I suppose I could have wandered into the lobby and looked around, but oddly I felt like taking a full-blown house tour to change things up on this dreary day. Oh well, I snapped a photo from the outside and then headed toward the refuge which is known for its shore birds. Sometimes 300,000 birds land here at one time and come from as far away as Argentina to feed on the shrimplike critters in the mudflats. The gate was closed to the area and an airport was adjacent to the refuge. It didn’t seem like an ideal place to spot birds unless I was looking for the manmade, metal type.